family meals – Hey Pesto! And not a takeaway in sight! You know that feeling – you’ve been out all day, you’re tired and hungry and you want dinner. NOW. We’re not big takeaway fans here but I will admit I came very close to picking up the phone and ordering one last night. Thankfully I hesitated and did a quick audit of what we had on hand. The situation was much better than feared. Fresh haddock in the fridge, avocados and tomatoes in the vegetable basket , taco shells in the pantry. The result – fast fish tacos for supper – on the table in 10 minutes, Jamie Oliver would be proud of me! A few years ago I was watching ‘Come Dine with Me’ (don’t judge me!) and was very taken by a vegetarian paté cooked by one of the contestants. On further research I discovered it was a Rose Elliot recipe which has made it the favourites pile and has been devoured by vegetarians and carnivores alike ! The original name of ‘lentil paté’ tends make people think of dark brown, unappetising sludge so I simplified it! Why not try it the next time you’re entertaining? Today is National Potato Day so it’s only right to celebrate our most famous vegetable ! There are so many ways to cook our national treasure but as I’m still trying to keep the summer memories alive I’m adding a Spanish twist to tonight’s dish. This dish will be perfect both as an accompaniment to some thing like a roast chicken breast or served as part of tapas selection. I’ve tried a few different recipes for Patatas Bravas – you know the tasty potatoes in tomato sauce you get in Tapas Bars – and I always come back to Simon Rimmer’s version. He slow roasts the potatoes with chilli rather than the traditional method of deep frying the potatoes and then adding the sauce so it’s a healthier option. I’ve tweaked it to my taste and I hope you like it ! Any caterer will tell you that one of the biggest tasks we face after any job is the wash up. I have some (not so good!) memories of trying to wash plates out the back of a wedding marquee using hot water drained off the potatoes – I kid you not. I hasten to add this was not in Hey Pesto! – we prefer indoor sinks and dishwashers! As regular readers will know I love to cook – both in my catering kitchen and my house kitchen – and I have a tendency to use a lot of dishes and pots. Unfortunately I don’t always have an assistant to wash up after me so my dishwasher is a very essential piece of kit. I know, I know – it’s been a while since my last blog but now that the weather has changed I’m likely to spend more time indoors and I promise to try and be a better blogger …. Sometimes you just need comfort food and last night was one of those nights. There were chicken fillets in the fridge,some random vegetables left in the basket and there’s always coconut milk and curry paste in the pantry so it had to be Thai curry for dinner, the perfect dish for these Autumn evenings. 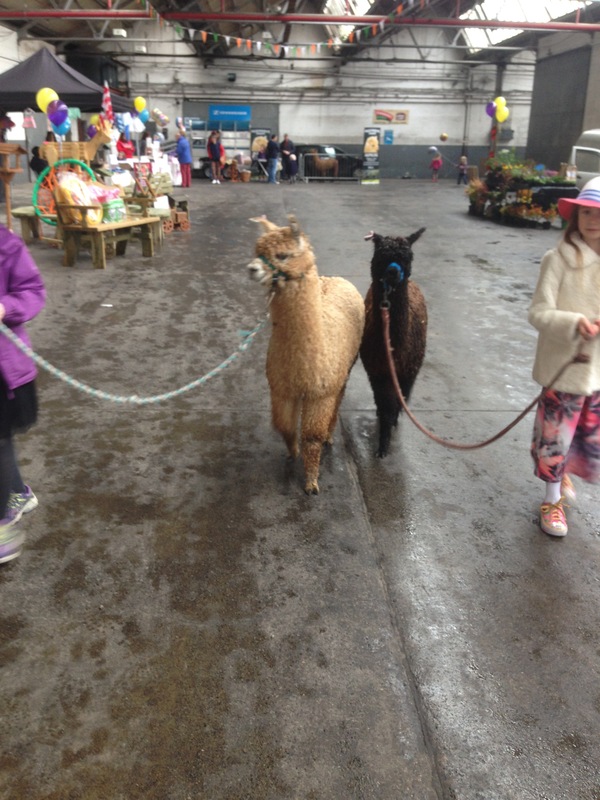 When we launched the Offaly Delicious Food Network in Tullamore at Easter last year I was so proud that we could showcase all the amazing food that we have in the Midlands. It’s been a fun year watching it grow – there have been ups and downs but thankfully our market is now well established in its home in Kilcruttin Business Centre. I love shopping in Farmers’ Markets – I love talking to the stall holders and wondering how I’m going to use their products. When I lived in Dublin I loved wandering around Temple Bar Market on a Saturday morning, deciding what to cook that evening. On a trip to San Francisco a few years ago I was in heaven in the Farmers’ Markets in Berkeley and in the Ferry Building. And then there was the fun exploring the St Lawrence Market in Toronto with some of my fellow Fáilte Ireland Food Champions. 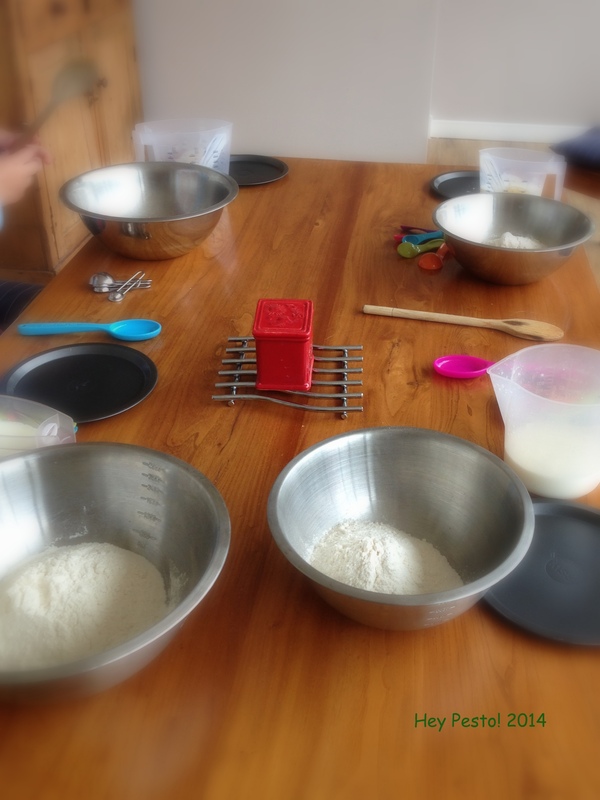 I’ve been asked more than once if I would do cookery classes for children so with two of my nieces visiting and my friend Kay about to head back to Brunei with her two children, I decided it was time to experiment. The table didn’t stay clean for long once the mixing started. I think there was a competition to see who could shake out the most flour and some of the mixes were a bit wet! They loved the stories about the cross in the cake to to represent the four provinces and there were lots of holes made to let the fairies escape. 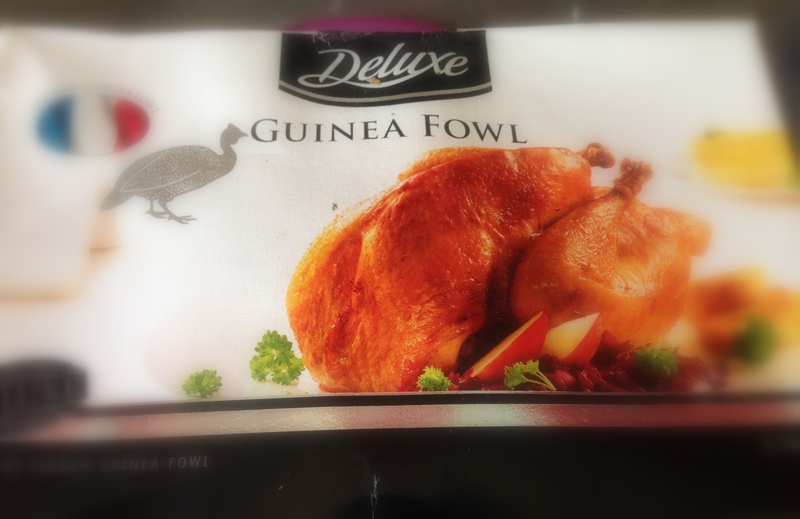 As a rule I don’t buy meat in supermarkets, but when I came across guinea fowl in the Lidl Deluxe range I admit I gave into temptation as I’m a big fan of this bird but find it very difficult to buy locally. The one on offer was frozen and reduced from €9.99 to €7.99 so I bought it as a midweek treat.